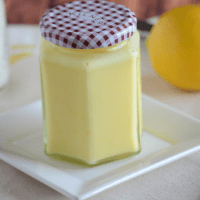 This lemon cream is similar to lemon curd but smoother and quite possibly more delicious. Ryon’s brother and family left this week. They were here for 8ish days and it was just no stop while they were here. The kids played all day and we did a bunch of tourist-y things together. We went to the beach twice, we went to the aquarium, we toured the Lexington, we went to San Antonio for the day, we had Avery’s birthday party. I absolutely loved having them here. It was nice to have a big group of people to cook for too. But the day they left, I powered down. I woke up super early to see them off, went back to bed and stayed in bed the entire day. Well, not the ENTIRE day. I took the kids to school and picked them up. And fed them. And that’s about it. And then I started thinking about my mommas birthday that was in a few days. I got her a small present but she wanted to go shopping without the kids for her birthday. Well, helllllo, I can’t say no to that! Ryon watched the kiddos Saturday morning and we headed off to shop the day away. We started at World Market and OHMYGAH it was so nice to be able to shop without having to ask the kids to be quiet, or put back things they grabbed or take 134353 bathroom breaks just so they can get out of the cart for a hot minute. We were actually able to LOOK AT STUFF. It was nice and I enjoyed every.single.minute. Side note – would you like a free coffee e-book? Totally unrelated, I know. Enter your email before and I deliver one right to your inbox! After what seemed like an hour [see 15 minutes maybe] I was finally able to snag a dressing room. And nothing fit right. I was ready to toss in the towel and just head home. I did end up with a pair of shoes that I’m not telling Ryon about [love youuuu] and my mom got a bunch of new clothes. And two new pairs of shoes. And we may have matching shoes now, but that’s totally acceptable right? To have the same shoes as your mom? You really don’t have to answer that. I know the answer. I’m getting old. We ended up ordering in some food for dinner and had cake after. Ryley helped nemaw [see: how my kids say grandma] blow out her candles and we all went home and to bed early. And you know what my mom got for her birthday? A bike. One of those cool old school cruiser bikes. She has been wanting one for awhile now and we found one that was on sale. And guess what she says I need for mother’s day? THE SAME BIKE. Maybe we can wear our new shoes while riding our matching bikes. Then we can come home, have a cup of tea and watch Murder She Wrote. I’m actually ok with that whole scenario. Whip together the eggs and sugar until light and fluffy and a pale yellow. Mix in the lemon zest and the lemon juice. Make a double boiler by placing two similar sized saucepans on top of each other. The bottom pan should have a few inches of water. Bring to a boil and place the saucepan with the lemon mixture on top. 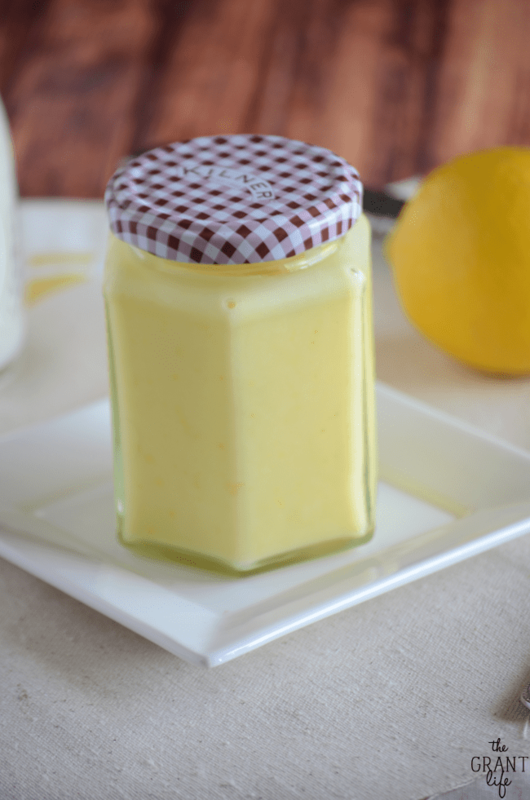 Cook the lemon mixture, whisking often, until it starts to thicken and becomes pudding like. About 10 minutes. Remove from heat. Mix in the butter and place the pan/bowl in an ice bath to allow the mixture to thicken. When slightly cooled, fold in the heavy cream and whisk until smooth. Can be used for up to 3 days if placed in the fridge. And sign up for our recipe updates! 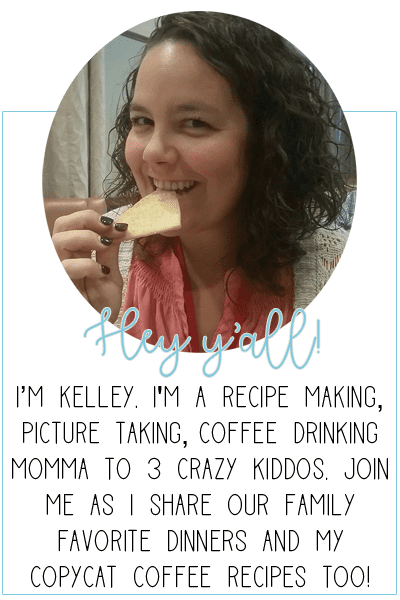 I’ll send fresh recipes right to your inbox! Success! I’m excited to have you! Now check your email to confirm your subscription and snag your freebie! Sounds like you needed the break with your mom!!! Even fun is exhausting!!! I went shopping a few years ago with my MIL and I found I purse that I loved…she loved it too and bought the identical purse!! I love to be “twins” with her! My mom used to buy the same things I did and I find that my daughters influence my choices as well. I think it is a way to reinforce our connection with those we love! That’s a great way to look at it! Love it! Haha! That’s awesome Beth! We do too, but this was the first time we bought the same shoes at the same time. lol. Hope you enjoy the lemon cream! Whooooa, I need this now! 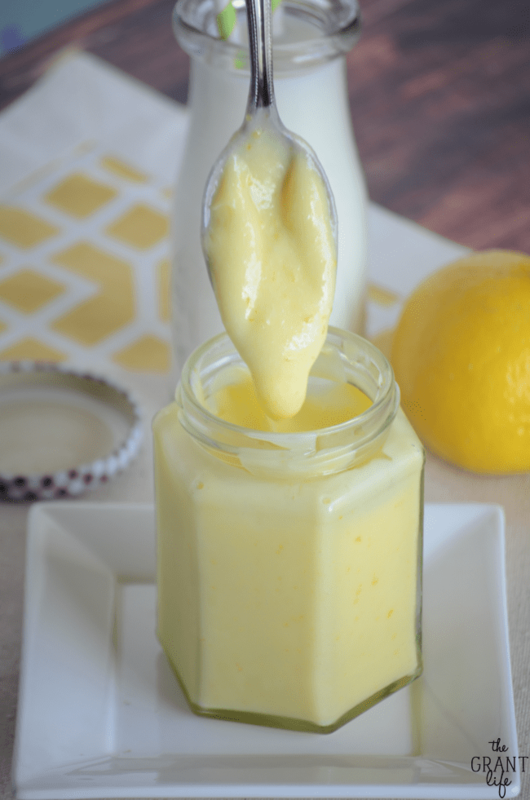 I love lemon curd and I love heavy whipping cream so this is perfect!! Oh yes.. it’s the best! So smooth and creamy! Shopping kidless is the best! I love world market! Oh gosh! Quite the day! Now you have me thinking about browsing world market online.. too bad I don’t have a real store to go to! Oh my gosh, sounds like you and your mom had a blast! And HOW COOL that she got one of those old school bikes! I think they are so cute. You should totally get one to match. 🙂 And this lemon cream! I want to slather this on a big ole stack of pancakes! GIRL!!! 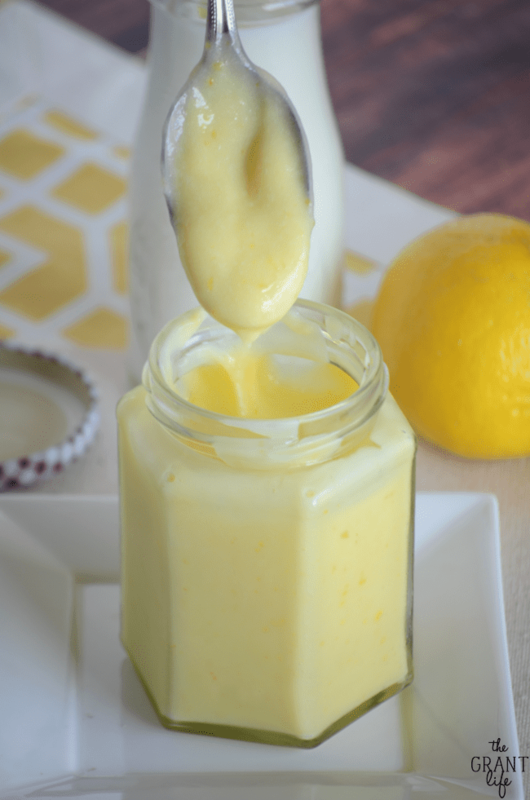 I wanna eat this lemon cream on everything!!!! It’s good. I’ve tried it.. on everything! haha! This recipe looks amazing! I could see myself using it to dip fruit in or drizzle it on a slice of pound cake. Mmm! Nope – no whipping. Just fold it into the lemon mixture. Hope you enjoy Beverley! How much does this recipe make because I would most likely double it. Thank you. I believe it made a little over 8 ounces of lemon cream. Holy YUM! Made this for our lemon poppyseed pancakes this morning and it was delicious! I couldn’t stop licking the spoon. Thanks for the recipe. Getting old my tuchis. When your kids are looking forward to a day free of their kids to take you shopping, then you can >think< you're getting old, maybe. Going to try this later today since I have a bag of fresh Costco lemons in the cold drawer. This looks so perfect to pair with a scone! Love lemon anything, so I’m all about this!! Thanks Eden! It would be great on a scone! This recipe sounds so yummy! May have to give it a try…make some pancakes and use Lemon Cream instead of syrup (although I do LUV my pure maple syrup!). However, that won’t happen today. I’m a Fibromite & have been down for a few days due to storms in the area (and some very loud thunder booms to close to home! )…but I’m on the mend. Need to get the kitchen in order & work on laundry and then it’s pancakes & Lemon Cream! YUM-O! It’s perfect on pancakes! So glad you are on the mend as well! Hope you enjoy the recipe Anna! Have to try your Lemon Cream! Someone I know loves all things Lemon! p.s. love your moments with your Mom… I lost mine as a young girl… just saying? Hope you enjoy Mary! And yes, moments with my mom are invaluable! This looks wonderful. Do you have a recipe for raspberry cream?????? I do not, yet! I will see what I can come up with soon. saying hi from down under (Sydney, Australia). 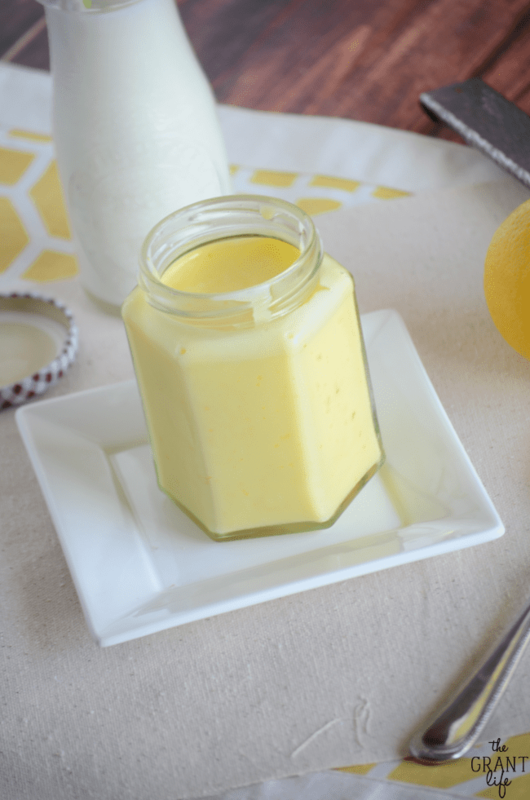 your recipe sounds delish and looks easier to make than lemon curd. loved reading about your mum and daughter shopping day. my sister and I have days like that with our mum, she’s in her early 80’s and every moment we spend with her is treasured. Hi Rita! 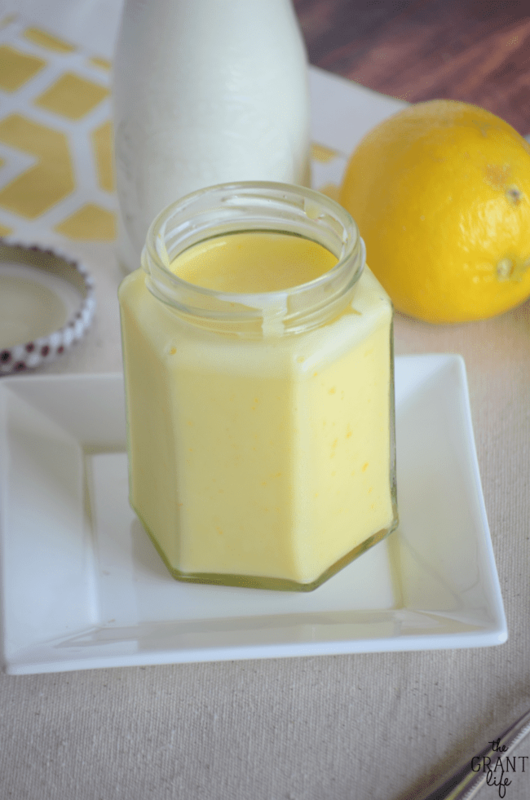 I like the consistency of the lemon cream over lemon curd. And I agree – every moment together with family should be treasured! Tell your mum hello from Texas for me! This stuff is great! I may try whipping the cream until stiff before folding it in as a pie filling. It is amazing as it is though! So, no mention of scones here. I’m hoping they will be good with scones for my tea parties. Must admit I got teary-eyed about the mom part. Just got to spend 10 days visiting my young adult daughter who lives across the country. Haven’t seen my own mom in a couple of years due to circumstances and am looking forward to seeing her soon. I so miss those moments with my mom and daughters. Sometimes we just call and have tea together over the phone. Lemon cream, scones and tea will be great for those mother-daughter moments. This was excellent! I made it for a cheesecake topping. Divine! Not a fan of chewy rind though so I will use lemon essential oil next time and omit that. I’m so glad you enjoyed it! I bet it was so good on top of the cheesecake!